First Day of My Life: Get Your Praise On GIVEAWAY! Get Your Praise On GIVEAWAY! A beautiful, wonderful interactive praise devotional designed to help you find your praise and focus your attention on praising and thanking God the Father, God the Son, and God the Holy Spirit for who He is and all that He has done. Each letter of the alphabet is used as a guide to help you in your offerings of thanksgiving to God. Along with each doodle letter you will find a characteristic of God and a Scripture verse to go along with the characteristic given. Use these Scriptures to offer up thanksgiving and praise to God through prayer. Extra space is available for you to journal the characteristics you unearth in the pages of God’s Word as you dive deeper on your own. This devotional is from the amazingly talented and God-driven Jenifer from Diving Deeper Ministries. I have one of my own and it is helping me with my walk with God. So amazing - and precious! Sorry – U.S. and Canadian Residents only! For every entry you'd like to submit, be sure to leave a SEPARATE comment saying you've completed the task - be sure to submit a link if required, as well. -Tell us what you are struggling with – what you are asking God for His help in your life? -Check our Jenifer’s freebie section – which one are you excited to now have? This giveaway will end at 11:59pm, September 28. Winner will be announced on my birthday – September 29! Right now I'm struggling with trust. I know that God is on my side and that He loves me and wants what's best for me, but I have had a lot of people hurt me in my life. So trust is an issue with everyone. Hi I am a follower! Such an amazing giveaway! Right now I am really having a hard time at work praying for a change!!! I need my sanity! I follow via GFC. I'm praying God lead me through my weight loss to better health. God impacts me daily by continually heaping blessings on my family and me. His hand is obviously at work in our lives. I'm currently asking God for patience. As you know, my hubs and I have been trying to conceive for a little over 15 months to no avail. It wears on me at times. Other times, I'm patiently waiting. We are setting up appointments soon to get some tests done, but until that comes (and probably after) I need some patience!! God impacts my life daily by not giving up on me. These past 8-10 months have been super hard on my heart and spirit with not conceiving. I've felt from a very young age that God has called me to be a wife and mommy. I never dreamed it would take us THIS long to get pregnant. I've had my moments where I've collapsed onto my hubs from crying so hard. I've cried and yelled and asked God, my hubs, my mom, etc. WHY? Through it all and to this day, God is still with me. He's still comforting me. He is NOT giving up on me. I made you a button recently...does that count? I visited Jennifer's website and learned there are great parent prayers there. I'm excited to find the Bible Study tools in the freebies section. The chronological reading plan is pretty cool! I plan on looking into it a bit more! Just dropping in to say I absolutely love Jenifer whom I call "Baby Girl". She is very special to me. I know whoever receives the giveaway will be blessed! Shoot, I forgot to add this--can you just delete my other post before this one so it counts then?! Anywayyy I'm a follower and I love this giveaway!! I'm struggling with finding true peace in my life right now. I've made a few mistakes recently that I'm paying for and I really need God's peace to be with me so I can get through these things in one piece. Oooo I'm a huge fan of the Bible study tools and that quiet time stuff....I'm totally snagging that!! 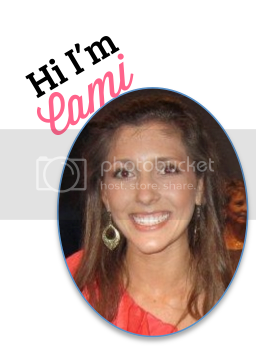 Good morning Cami, Your birthday is the same as my daughter's birthday. Some how I think there has been a reason for me to find your beautiful Christian soul. My daughter is a devoted Christian too. Her name is Christina. Our Lord impacts my life daily. I truly believe in his love for us each day. I strive (struggle) to be his faithful servant every moment of each day. Life takes us in so many directions and I do not ever want to be too busy for HIM. Your giveaway is precious and I would love to be in the drawing. Hi Cami, I just had a thought. I visit a Blog called Spiritual Sunday and I wonder if you would mind if I featured your Blog on mine this Sunday and link you to Spiritual Sunday. I read your post on Mending Bridges and loved it. I would like to feature that post. What do you think? There are about 80 Christian blogs that link there as well. You would have a huge amount of Bloggers that would be aware of your Blog. Please say yes. Smile! I am Google Friend. The thing I am really struggling with in my life is motivation to stick with a healthy eating plan to lose weight. I have struggled with my weight all my life and it just seems like it keeps getting harder and harder. I follow via GFC and I'm struggling with trust! I know that if I just trust Him God will provide what we need, but I'm still worried about my hubby finding a job. Right now I'm really struggling with keeping a positive attitude about everything, especially after getting the news about my mom. I ask God everyday to help me get rid of all this negativity. I loved all the freebies! I'm planning on using the "Covering Your Husband In Prayer" freebie right away! following you ...my BIGGEST struggel righ now is my Daily walk with the LORD-I love him with every thing, but I let LIFE take over and push himaside most days and it pains me knowing I hurt him daily! I personally am struggling with stress, finical issues, and self image issues... along with more. I take on a lot more in my life then I ever should. But, I am not entering this giveaway for myself. I am entering this giveaway for my fiance J who is on his own personal journey to God through classes to become baptized, receive the first communion, and to receive His Holy Spirit. I believe this book will help J on his way to God. Blogged about your giveaway andddd the button is on there too. 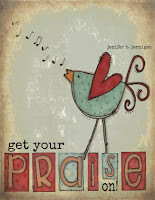 I also visited Jenifer's site and posted on her post about the giveaway about what I learned. Hi, thanks for doing this giveaway. Jenifer is great and I'd love to take part. Right now, I'm praying for direction in some areas of my life.